Make sure to schedule some time in your calendar to bring your family to Leduc Country Christmas Lights this December… because it’s going to be the last year to see the enormous Christmas Lights Display. Leduc Country Lights has been a staple holiday event that has brought Christmas Spirit to thousands of people over the last decade. Our family has walked through the light display three of the last four years. My husband usually pulling a couple of our kids in a sled behind us, and me baby-wearing our youngest. My kids have thoroughly enjoyed spending time here over the years – meeting Santa, warming up by the fire with a hot chocolate, searching the grounds for the kids’ favourite Paw Patrol Light Display… we will miss this event, and cherish the memories that we have made here. 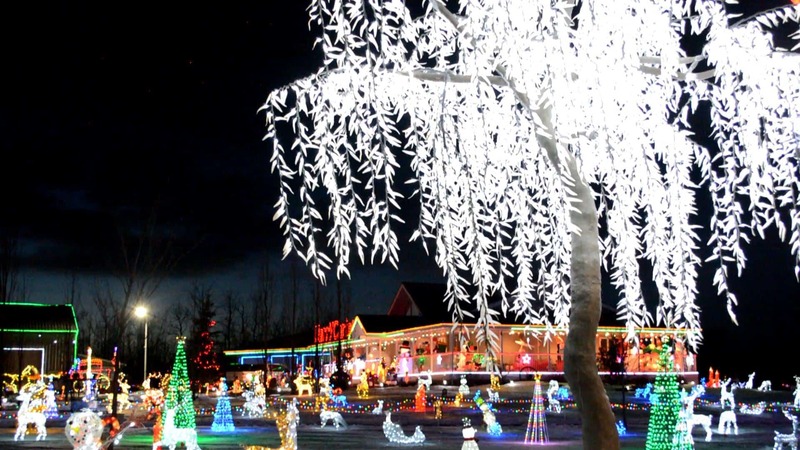 The owner/operator of Leduc Country Christmas Lights has said, in regards the the closure:“It’s time for all of us involved to spend more time with our families and slow down during the Christmas season and really enjoy it without the added stress and pressure that comes with organizing and running the lights”. The very last night to check out Leduc Country Christmas Lights will be December 30, 2018 – the evening will include a firework display. Bring a sled that you can pull, instead of a stroller. It’s an easier way to get toddlers around the display, and even for younger kids, there might be a bit of walking and having a sled you can pull them in makes the visit easier. Don’t forget to bring a food bank or monetary donation – Last year they raised 28,000 lbs of food for the Leduc Food Bank and $20,000 for the Boys and Girls Club. There are washrooms available on-site – still, go before you arrive because you want to minimize having to get kids and out of snowsuits to go to the bathroom, am I right? If you’re visiting and the weather is below -20 degrees, you won’t see Santa. He can’t risk getting sick before the holiday seson! Check the website for the nights when free hot chocolate is being offered – if you get cold while you’re visiting the lights displays, you can always warm up around the fire!